Being Childless: Why Don't Our Opinions Count? Amanda Wilkie's jaw-dropping tweet about Wildrose leader Danielle Smith's lack of children hit home for me, because just like Smith, I am 41 years old, I also don't have children, and have had my "credibility" questioned countless times when it came to discussing matters relating to children. 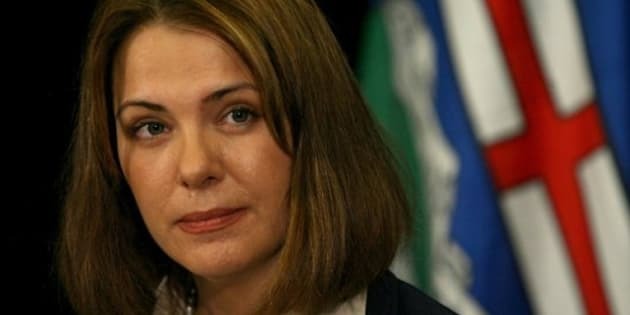 A friend posted an article on her Facebook wall about PC staffer Amanda Wilkie's jaw-dropping tweet about Wildrose leader Danielle Smith's lack of children. Yup that's right -- Wilkie went there. This was on the heels of Wildrose's Family Pack Pledge, including announcements with respect to child-tax credits. Apparently Wilkie questioned Smith's sincerity (and credibility) for that matter, as Smith didn't have children. I was understandably incensed by Wilkie's comments and clearly so were her superiors, as she immediately resigned shortly after her ill-fated tweet. A tweet which was admonished by PC Party official Josh Traptow, who also turned to Twitter to make it clear that "family and personal choices are OFF LIMITS." Smith, who didn't go directly after Wilkie, revealed her and her husband's unsuccessful efforts to conceive through fertility treatments. She didn't have to explain at all, but clearly she felt that she needed to. I was fuming. Because this reckless twittering and questioning someone's motives in this area was obviously uncalled for. This hit home for me, because just like Smith, I am 41 years old, I also don't have children, and have had my "credibility" questioned countless times when it came to discussing matters relating to children. All sorts of past conversations started flooding back. Instances, where my not having kids somehow made me null and void for any kind of opinion on any child-related matters. It seems that those of us who don't have children, regardless of the reason, seem to be shoved into a "not knowing of what they speak" category. And that has got to stop. Sure I don't have kids, but that doesn't mean that I'm living on some unknown planet in a yet-to-be-discovered galaxy and therefore not exposed to the young'uns of today. Truth be told, I am a loving auntie to my two nephews and three nieces all ranging in ages of 12 years to two months. And I absolutely adore sharing with them my love for music, fashion, film, and pop culture. I taught my nephew, who was probably a year at the time, the "rock on" hand sign, which he gladly flashed to whomever would give him the time of day at the grocery store. My other nephew, when he was four, loved listening to Madonna on my iPod. My nieces enlightened me on the ways of Selena Gomez and Justin Bieber and yes, I got a crash course on the whole Diary of a Wimpy Kid phenomenon at the cottage last summer. See? It's all cool. So here's the deal: I'm childless and I love children. A combination, which funnily enough, confuses a helluva lot of people. This is what I don't understand with my lack of a mommy-brain: Why is it so shocking for people to see that one does not need to have children to appreciate and love them? So before I start getting crazy comments, let me say upfront: I know that I will never understand nor fully appreciate the incredible focus of all the working and stay-at-home moms out there. Their end-of-day exhaustion I will never understand and won't ever underestimate. I wholeheartedly admire the mothers of the world, my mother, the moms in my family, and my mommy friends. However, just because I am not in that club doesn't mean that it's a free-for-all to willy-nilly negate my opinions on matters such as discipline, tolerance and, of course, praise. Oh and one more thing, I too can have an exhausting day. Believe it or not. Just because I don't have kids, it doesn't mean that I can't tell when a child is misbehaving or being too loud or is just out-and-out spoiled. Just as I know when a child is being a complete angel, super cute, or showering me with their endless questions about life, which I adore answering. Because another thing that I love to do is talk to kids. We were all kids once. Including me. And I remember the discipline extolled to all of us in our family. Yes, we got the "eye" -- the look that our mom would give us when she knew that we were out of bounds. That was a quick problem-solver. We didn't even dare to back-talk, go past our curfew (earlier than our friends' curfews) or even interrupt a conversation between adults. And no, it wasn't a strict no-fun-zone home. We were all being taught the basics lessons on how to be a polite and well-mannered child. So for the sake of all of us kid-less folk, we humbly ask you for one small favour: Please stop treating us like we are martians. Because if you take your blinders off, we may have actually have something to say that may be worth your while.